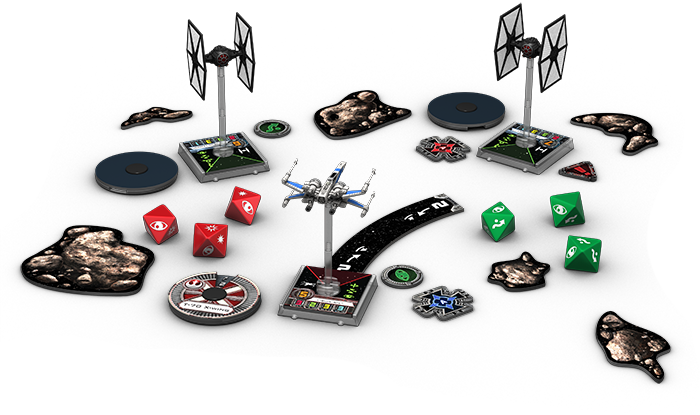 May the Force Friday be with you. 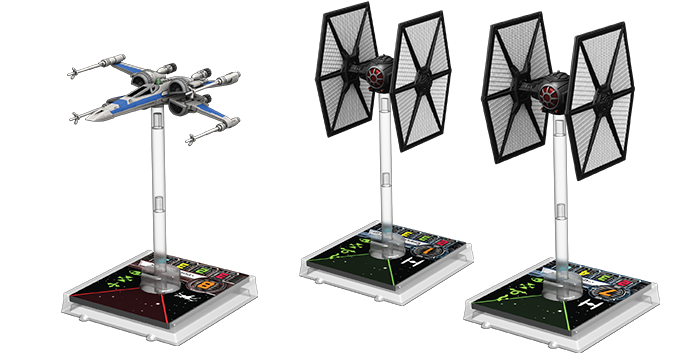 For those that don't know, a whole bunch of Star Wars toys are being released today in what has been dubbed Force Friday. 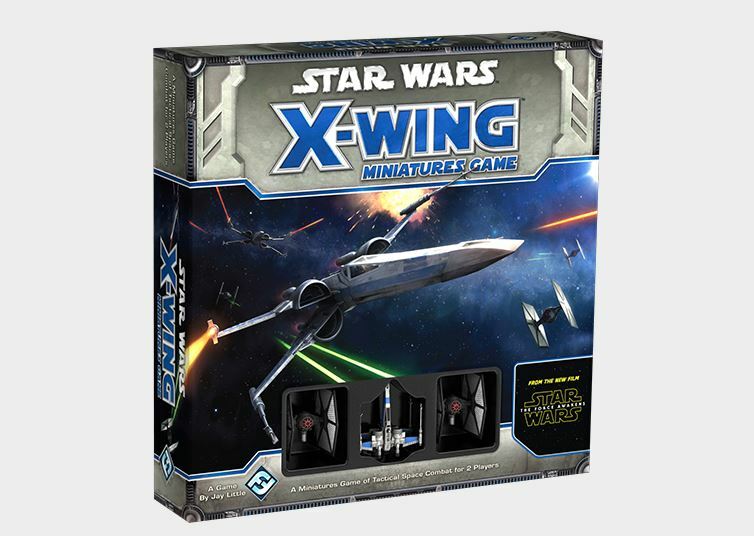 Fantasy Flight Games is getting in on the action with their The Force Awakens starter set for the X-wing Miniatures Game. This is the same kit we saw some grainy photos of a couple weeks ago. Well, now you don't have to worry about photo quality, since we get the full, studio-quality images. And while they don't give us a look at all the cards that are inside, they do give us a few. 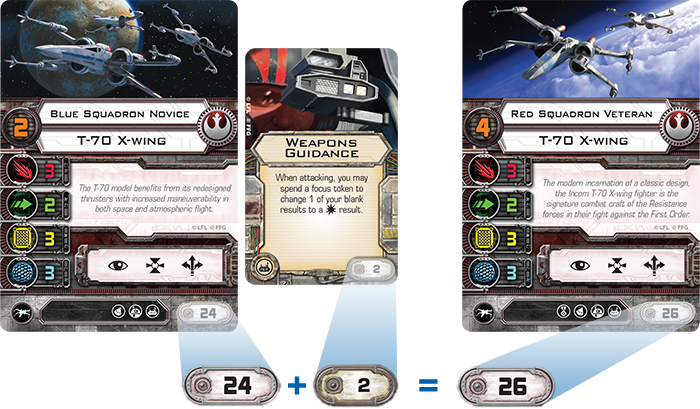 These ships aren't just resculpt/repaints of the original X-Wing and TIE Fighters. They are actually different ships.